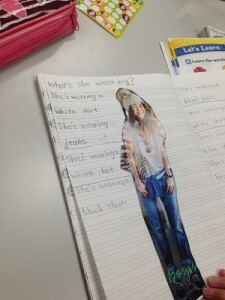 One day, when we were practicing a dialog in class, I heard my students talking about the pictures from the text book. I told them to choose their favorite model from a magazine and tell what she/he is wearing. Then tell your friends what you think about their favorite models. Use the following phrases: It’s cute. It’s cool. I like it, too. I don’t like that color …., etc. *Give 2-3 students one magazine to share. 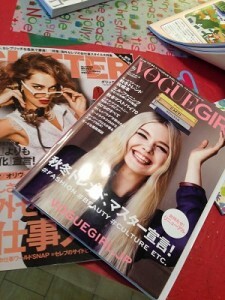 Use nice and cool magazines. 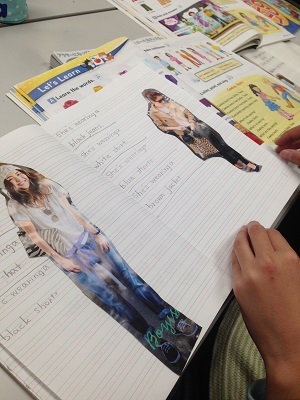 * Have the students open the magazines and start to talk about the fashions they see. Student A: I like the white coat. Student B: That’s nice! I like the yellow one. Student A: I like that, too. Do you like green hat? Student B: Yes, I do. / No, I don’t. To help the students continue their conversations with each other, I wrote a list of suggested questions on the board. *What color do you like? *Please tell your friend what you think about the clothes your friend chose. I think it is important to keep asking and answering questions in order to enjoy conversation. After practicing the conversation, have your students choose their favorite models in the magazine and write descriptions of the photos. She’s wearing a white dress. I used this activity in a class of girls. Girls usually love to talk about fashion. So, they were very interested in this lesson. They worked hard and also enjoyed this activity very much. They were proud to show their work to others. To make this activity appealing to boys, you could bring in magazines with famous actors and sports stars. Finally, they talked about each other’s clothes. Let’s Go introduces dialogs that are about topics which are very familiar to my students. If we place ourselves in a Let’s Go world, it will help us get many ideas for activities to build on the lesson language. Note: If you are using Let’s Go 4th edition, this activity is based on the language in Student Book 3, Unit 2. 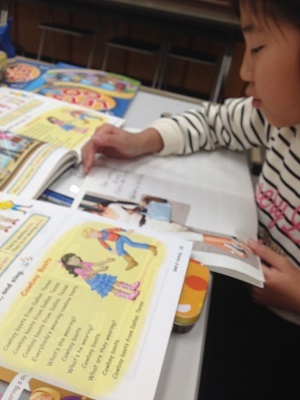 Naoko Amano teaches English to children in Osaka, Japan. 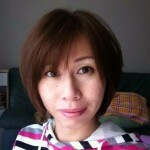 She is the owner of a small school called Yellow Banana Kids English. Naoko believes that learning should be fun for students, and that connecting and sharing is the key to growing as a teacher. 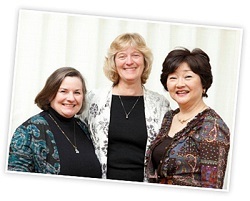 You can find Naoko on her school's Facebook page. Recap of Interesting Resources and Blog Posts – May 2015 | Stop Complaining – Enjoy Teaching! Next story What does this say?